When it comes to sales, people remember the ABCs – Always Be Closing. But what worked in the movies years ago doesn’t always translate well these days. Particularly when everyone expects and believes that we’re all in “pitch” mode every minute of the day. The way around it, while still having success, is to stop pitching. Stop the “always be closing” efforts and switch to education and service. While I’m not in sales, I’m constantly part of a larger team that helps sales close deals. I’ve been in a product role (often as a domain expert) for years. And in that role, I’ve found the power of education to be incredibly helpful in closing customers. When you can help create the evaluation criteria, you can help people understand their options. One of the challenges that people have is knowing how to think about all their options. They know they’re not equal but non-experts don’t necessarily know enough to create a rubric for evaluating alternatives. When you can help, you can also make sure key criteria aren’t skipped or missed. When you help people understand their options, you naturally step into a position of authority. People may initially be nervous when you present options because they’ll worry that you’ll ignore options that aren’t your own. But as you present all the alternatives that make sense, people will begin to trust you. The more you know about all the alternatives, the greater the trust and belief in your role as an expert. And since you don’t display the bias they presumed, customers are more inclined to listen to your expertise. When you invest in the education of a prospect, you’re creating better educated prospects. I know this sounds silly and basic. But more often than not, what I hear from sales people is that if the prospect was better educated, they would have closed the deal. But that’s always after the fact. 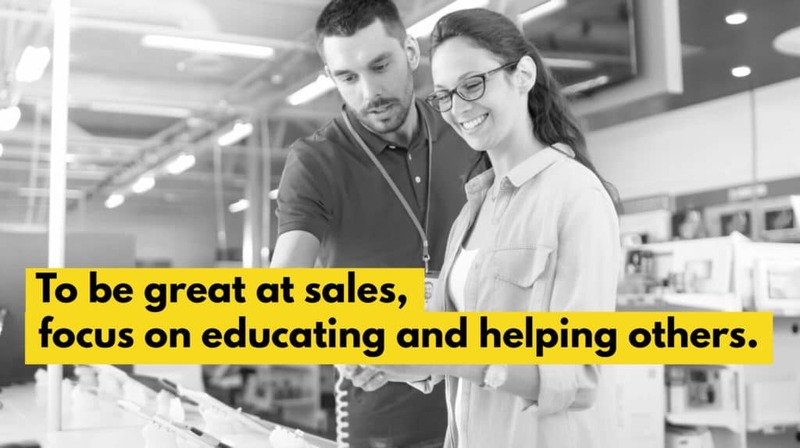 Focusing on education has the natural consequence of a better educated prospect, and that can lead to more sales. Regardless of which reason you like best, the reality stands – educating prospects is a good idea!